Get your new hunting partner this season to be ready in time for next! Sire: Dynamic Fisherman, MH/QAA (NAFC FC Barton Creek’s O’ Mustad x Wyldfire’s Island Spice, JH, a Pirate daughter). 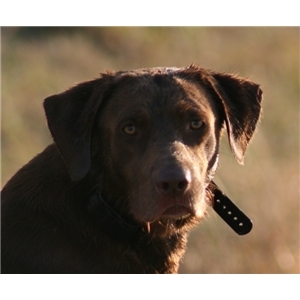 Fisher exemplifies Labrador temperament, combined with tractability and talent. He has sired multiple HT-titled offspring including Master Hunters, a QA2 son and wonderful hunting companions, and is on his way to the Master National in Oregon. Fisher has outstanding temperament, can be handled by children, and passes his attributes on. OFA hips: LR-197041G24M-VPI , Elbows: LR-EL59587M41-VPI, Eyes: LR-EYE1753/41M-VPI and tested clear of EIC, LR-EIC08/75F-PI, CNM, LR-CNM07-440-F-PI and PRA. Dam: Rainmaker’s All Worked up, “Tizzy”. Chocolate daughter of two black parents, my Ransom, MH/QAA, and Gumbo, JH. I did that breeding specifically to get a pup for myself and Tizzy has met all my expectations. 75 lbs, gorgeous and gregarious, lives to retrieve and extreme love of water, excellent in the house. OFA hips: LR-225433E25F-VPI, elbows: LR-EL76834F25-VPI, eyes normal, both parents tested clear of EIC, CNM, PRA, Tizzy is also tested clear of RD/OSD, SD2, CMS, MH and dilute. As always, puppies are whelped and raised in my home. They are right in the middle of normal household chaos, multiple dogs, visitors, door bells ringing, vacuuming, etc. They are also purposely introduced to a multitude of different sights, sounds and surfaces, there is a TV in their room playing various videos so they are hearing a variety of voices, gunfire, duck calls and other sounds. Dewclaws removed, first vaccination, microchip and will be vet checked at 6 weeks. 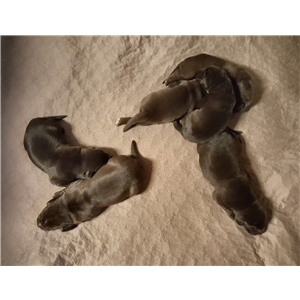 Complete puppy packet, weekly updates and breeder support. See website for copies/links of clearances, photos and more. Ready to start going home Saturday, November 3rd. Shipping also available, at buyer’s expense and with advance notice. $900 with $300 deposit to hold, males and females available.